Default Notice | What Do I Do If I Get A Default Notice? This section covers the questions you are most likely to want answered if you have received a Default Notice from one of your creditors. What does a default notice mean? How long is a default on your credit file? How can I remove a default? A default notice is a formal letter sent to you by your creditors (the companies you owe money to), stating that you are in default of your credit agreement by not keeping up to date with credit card debts or loan repayments etc. Creditors are legally obliged to inform you in writing if you have missed a payment. A default notice generally stays on your file for six years. Under the terms of your credit agreement you will probably have agreed that the lender has the right to inform the credit agencies of any defaults you incur. Unlike the Removal of CCJ, a default notice cannot be removed without the consent of the relevant creditor. A default notice isn’t a legal action as such, but it can be used as a warning by your creditors that legal action will follow if you ignore the default notice. It can be hard to get credit once you have received a default notice, therefore it essential to deal with a default notice as soon as possible, ignoring it will not make it go away. What happens once I have received the default notice? 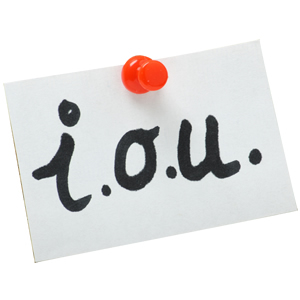 If payments are in arrears the creditor must issue a default notice before any legal action can take place. Defaults are a warning and should be taken very seriously. It is vital to act quickly and seek professional advice. A default notice gives the lender 7 days to comply with the action required; this doesn’t always mean that you will be taken to court, but it is best to comply promptly with the instructions from the default notice to ensure the issue is resolved and that the creditor doesn’t take any further action. If the default notice requires an immediate payment it will include instructions on how to do so; if you can easily afford to pay this, then this should be paid within the time frame to limit any court action. If you are struggling to make the payments and you have additional debts and want to organise your finances by entering into a debt solution then we would provide you with advice and support today on 0800 088 2208. Will I have to go to court because of the default notice? Once the default notice has been sent the lender can start the process to recover the owed money by issuing a claim form. If you receive a claim form this means that the creditor has started proceedings at the county court. A claim form states who is taking you to court, the amount of arrears and the proposed action they plan to take. In order to avoid court action it is advisable to contact your lender to establish a mutual agreement. Court action will result in a CCJ (County Court Judgement) against you and an order by the court that the debt is repaid immediately or in instalments. As long as the debt is less than £25,000 you will be able to apply to the court for a time order to give you more time to repay the debt. Can my creditor or lender make me bankrupt? If the amount due is in excess of £5000 the creditor or lender can consider making you bankrupt. Creditors also have the right to join together and make the total amount up to the minimum required although this is rare. Bankruptcy threats must be taken very seriously. Our panel of specialists can quickly advise you of your options if you have received a Default Notice. Simply call the team on 0800 36 88 133. Alternatively take the online debt test and find your best solution.